To own a quaint Cornish cottage is the dream of many Britons. The rich history of Cornwall, the beautiful countryside and the legendary friendliness of the people make this one of the favourite places in the country to have the perfect little hideaway. If it could be a stone cottage on the rugged North Cornwall coast overlooking the Atlantic, or a little haven of peace somewhere inland, so much the better. Cornish cottages are well known for their beautiful gardens, and outdoor living understandably forms an important part of the whole Cornwall experience. When designing, decorating and furnishing your cottage this fact should be kept in mind. Decorating in Cornish cottage style typically involves having a cosy living space characterised by an array of relatively small rooms. It’s very difficult to turn a loft into a country cottage – although this is a tempting idea it’s not likely to meet with success. The relatively small size of the typical Cornish cottage usually means there isn’t room for overly dramatic choices when it comes to interior design. The rule here should be to maintain harmony between the snug rooms, the relatively small spaces and the proportions of the décor. As a rule Cornish cottages are not known for their vibrant colours; rather keep things neutral. Choosing ‘offbeat’ colours such as ochre or buttermilk is a great idea. Since this style of décor could easily result in a claustrophobic, cluttered feel a good idea is to toss in a few light yellows, pinks and greens to provide a more airy feel in the rooms. Individuals opting for wallpaper are advised to steer clear of overpowering patterns. Floral patterned wallpaper is most commonly used in the typical Cornish cottage interior design scheme. When it comes to window treatment, at all costs avoid heavy curtain material and overly ornate draperies. Brocade in a Cornish cottage will look as out of place as a plastic tablecloth in Buckingham Palace. A safe choice would be lace, voile, muslin and gingham. Avoid overdoing it with tails and swags – the typical Cornish cottage window simply is too small to handle them. When it comes to furnishing the cottage, head for local yard sales, flea markets, antique stores and anywhere else where furniture with that ‘lived-in’ look can be found. With such a cottage one doesn’t want a brand new look, so it doesn’t matter if the upholstery looks well used. In terms of design, look for floral patterns, plain fabrics and the judicious utilisation of checks. To add character, include some throws and pillows, and of course the living room will look beautiful with hand-broidered lace antimacassars. 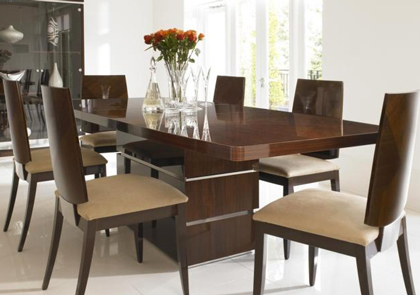 As for the dining room, an oak dining table will add an air of elegance and style to any cottage. The main bedroom of every Cornish cottage simply cries out for a genuine brass bed. If the real thing cannot be found there are some excellent reproductions available. Furnish the bed with crisp linen or cotton sheets – if they have lace edging that will be even better. To cover the bed there is nothing better than a crocheted blanket or a patchwork quilt. Adorning the window ledge with antique bowls and vases will add the perfect final touch to a beautiful cottage bedroom.